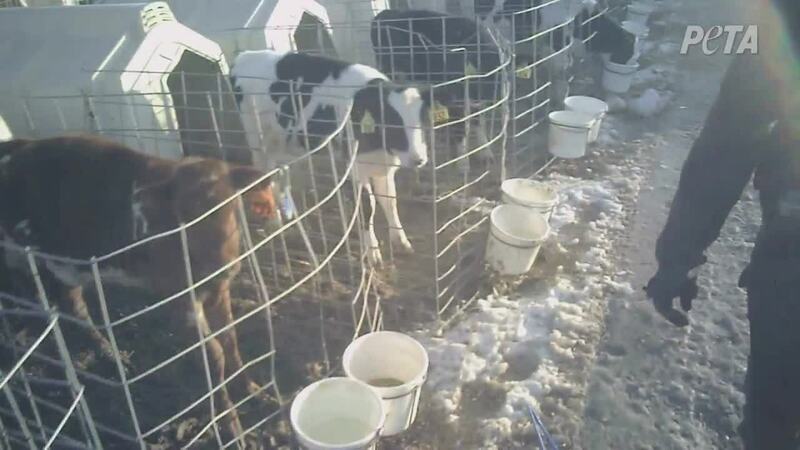 A Marinette County farm now says they plan to change the way they operate following a video released by PETA. PETA says the video was captured by a PETA eyewitness. They say he was hired to work at Heifer Solutions in Marinette County and used a hidden camera. The farm says they began an internal investigation when they learned of the video Tuesday. Effective immediately, they will have standard rules for de-horning calves, including a policy to use pain medication for every animal. The video shows a farm employee de-horning a calf. PETA claims in the video that the employee didn’t use pain medication. In the video, a man’s voice is heard saying: "Oh, it would make it a lot easier, but where's the fun in that? I like it when it's like this. This is fun. This is the way that makes it more exciting." Heifer Solutions says the employee in that video has been suspended. The farm released a statement today saying they are committed to caring for animals as fifth generation dairy farmers. "With the help of our farm veterinarian, all of our employees are receiving additional training on these protocols, will be supervised while implementing the protocols and will be required to take additional periodic training." "The farm's step is basic, but a bigger step is vital: de-horning is a needlessly cruel way to address the presence of horns, when polled cattle are bred not to have them and would be spared this extremely frightening procedure and the pain of recovery." According to the UW Extension, removing horns from cattle is meant to prevent injuries to farm workers and other cattle. The Marinette County Sheriff's Office says they investigated the incident at the farm and it didn't appear to be criminal.